So do you want to Install TWRP recovery on yureka black ? If yes then you are at right place . 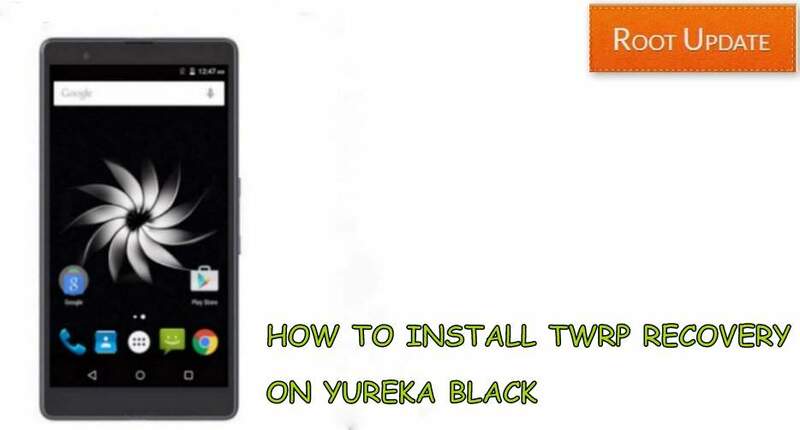 Today we are here with the guide on How to Install TWRP / CWM recovery on Yureka black . Yureka black is the latest smartphone from Yu and it comes with a 5 inch screen . The best thing about the smartphone is that it comes with 4GB ram which makes this the first smartphone under 9000 to feature 4Gb of ram . So before we start the guide on How to Install TWRP recovery on Yureka black lets have a quick look at the specifications of the smartphone. Yu yureka black comes with 5 inch screen with a resolution of 1920X1080 and 441 ppi, Coming to the processor so the smartphone comes with Snapdragon 430 octa core processor coupled with 4Gb of ram, The smartphone runs on Android 6.0.1 marshmallow . So without wasting much time lets start the guide on How to Install TWRP recovery on yureka black. So before we start the guide make sure you follow all the Requirements given below . It is important to follow each and every step carefully . A laptop or Computer is Required to Flash Twrp recovery on yureka black. Make sure there is more then 75% battery in the smartphone. Now You have to enable usb debugging of your smartphone. Now you have to open Command window in the ADB folder, To open you have to press shift and Right key on mouse together. So this was our guide on How to install TWRP recovery on yureka black, we hope this guide helped you and incase if you have any doubt you can comment down below in the comments section.